Little children will love these delightful mini board books. Each book is held by a charming bean-filled animal who is featured in that story. 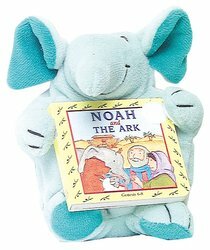 About "Noah and the Ark (My Bible Favourite Series)"
Learn the story of Noah along with a beanie animal which accompanies this boardook.